Hoboken, NJ – The College of Arts & Letters (CAL) at Stevens Institute of Technology is rolling out the first Master of Arts degree program in the 140-year history of the University. The new M.A. in Technology, Policy, and Ethics will significantly expand the transdisciplinary approach that is central to the CAL mission at Stevens while also contributing to the tradition of broad-based education for which Stevens is well-known. The program is designed to equip leaders with the knowledge necessary to address the challenges of an ever-changing global environment. Drawing on the humanities, social sciences, and management, students will be exposed to topics related to the ethical, managerial and decision-making aspects of technological innovation. "We aim to produce well-rounded graduates who are not only technically literate, but also have the cross-disciplinary sophistication needed to understand how technology is embedded in larger society,” explained Dr. Gregory Morgan, Director of Graduate Studies. “Students will understand how technological innovation challenges policy makers, and how new technologies create new ethical challenges. Our graduates will be well-equipped to formulate and enact the best response to these complex challenges." Graduates of the program are well-prepared for careers in areas of corporate social responsibility, project leadership, policymaking, and management in both the public and private sectors. Students will take 30 credits to complete the degree and have the option of writing a Master’s Thesis. Courses are available on campus as well as online, via Stevens’ award-winning WebCampus. A 12-credit graduate certificate in Technology, Policy, and Ethics is also available for students who want to supplement their current course of study or enhance their current professions. Students who earn the certificate may stay on to complete the Master’s degree. Applications are currently being accepted for both the M.A. and the graduate certificate. Founded in 1870, Stevens Institute of Technology, The Innovation University™, lives at the intersection of industry, academics and research. The University's students, faculty and partners leverage their collective real-world experience and culture of innovation, research and entrepreneurship to confront global challenges in engineering, science, systems and technology management. 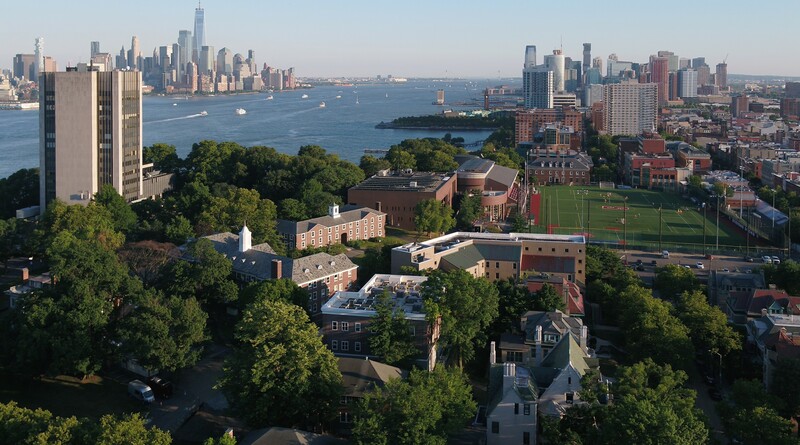 Based in Hoboken, N.J. and with a location in Washington, D.C., Stevens offers baccalaureate, master’s, certificates and doctoral degrees in engineering, the sciences and management, in addition to baccalaureate degrees in business and liberal arts. Stevens has been recognized by both the US Department of Defense and the Department of Homeland Security as a National Center of Excellence in the areas of systems engineering and port security research. The University has a total enrollment of more than 2,350 undergraduate and 3,600 graduate students with almost 450 faculty. Stevens’ graduate programs have attracted international participation from China, India, Southeast Asia, Europe and Latin America as well as strategic partnerships with industry leaders, governments and other universities around the world. Additional information may be obtained at www.stevens.edu and www.stevens.edu/news.